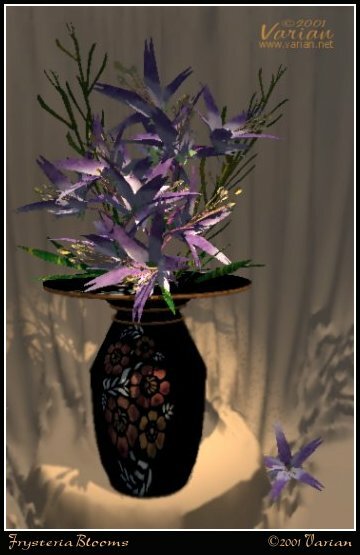 While getting to know v.2, I created the flowers shown in this image. As far as I know, there are no "Frysteria" plants in real life; it's strictly made up. But they turned out to be so nice, maybe there should be! I thought you might like this image for the gallery, as it shows the new v.2 features.